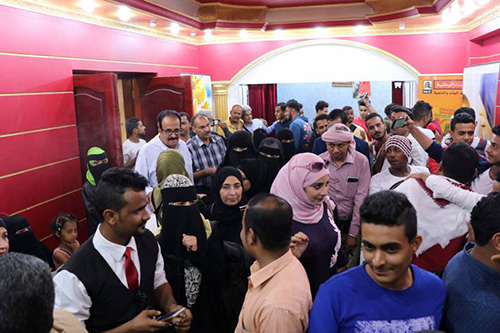 ADEN, Sept 4, (Agencies): Yemenis file into a makeshift cinema for the first time since fighting broke out in their city of Aden more than three years ago – and watch some of their own story reflected back at them on the projector screen. The film they have come to see is “Ten Days Before the Wedding” – a gripping drama about a young couple from the southern port city whose marriage plans are nearly derailed by the country’s civil war and other troubles. SEOUL: A film about the plight of a defector who abandons her family in North Korea will open Asia’s biggest film festival next month, organizers said Tuesday as they look to end years of turmoil surrounding the event. The Busan International Film Festival (BIFF) will run from Oct 4-13 and feature 323 movies from 79 countries, including 115 which will have their world premiere. This year’s festival will open with South Korean filmmaker Jero Yun’s “Beautiful Days”, which tells the story of a woman who abandons her husband and young son to flee North Korea for a better life but later reconnects with them. “The unique story line of the restoration of a family through initial dissolution was appealing and the subject of a North Korean defector was also very timely,” said festival director Jay Jeon.